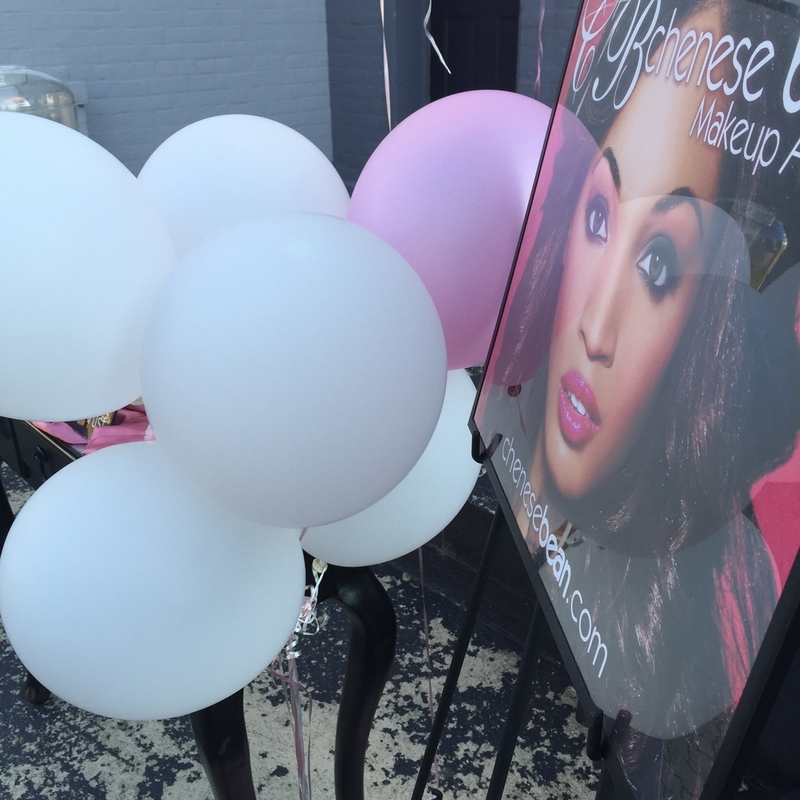 Last week (Thursday, Sept. 17) was the Reading Bridal District "Fall In Love" outdoor bridal show. 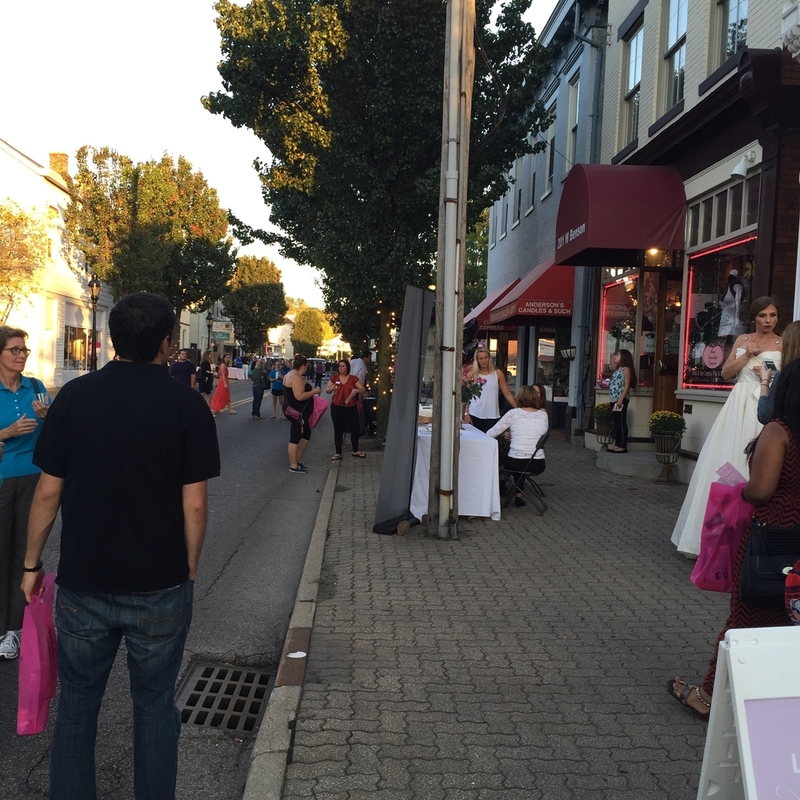 Benson Street was shut down for several hours as tons of amazing wedding vendors were set up with booth tables. In addition to some amazing food and music on just about every block! There were a ton of brides that attended the show and I enjoyed meeting those that stopped by my booth in front of the studio. And of course the streets were filled with tons of models, modeling some of the most gorgeous gowns that everyone wished for. And to add a bit of luxury and glam to the fantastic evening, LUXEredux Bridal model Kristina took everyone's breath away in the three amazing gowns. 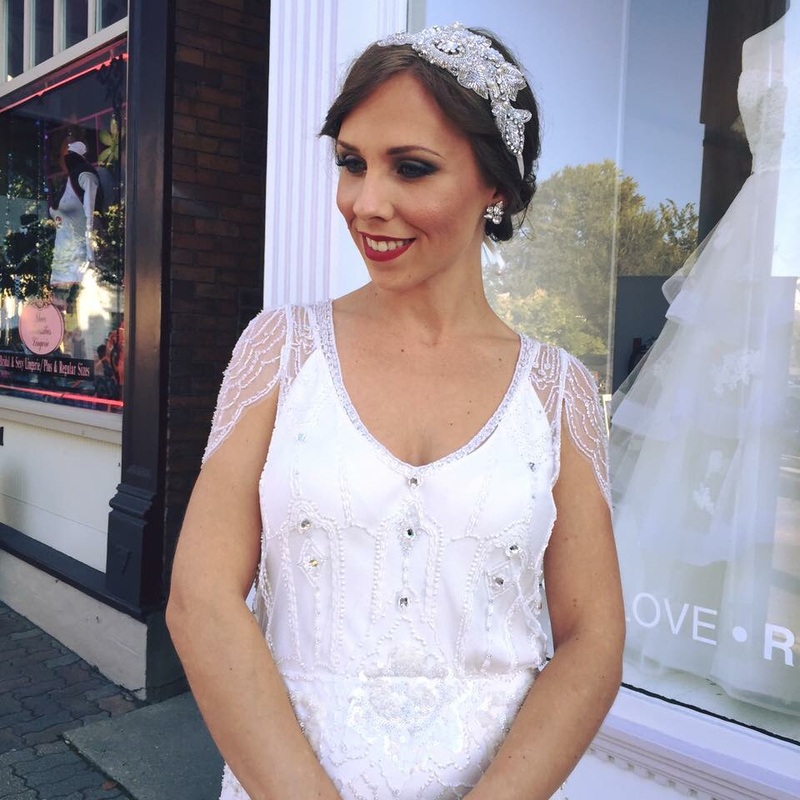 Jenny Packham, Amsale Bridal and Christos Bridal. And yes I did her makeup for the evening! LUXEredux Bridal is a high-end consignment boutique filled with amazing boutique sample gowns with two Ohio locations; Cincinnati and Columbus. Visit their Instagram page for more photos of the gowns. The show was filled with energy and excitment, so of course I even found the time to do a few Periscope videos! Watch below. For more photos, visit the Reading Bridal District Facebook page.